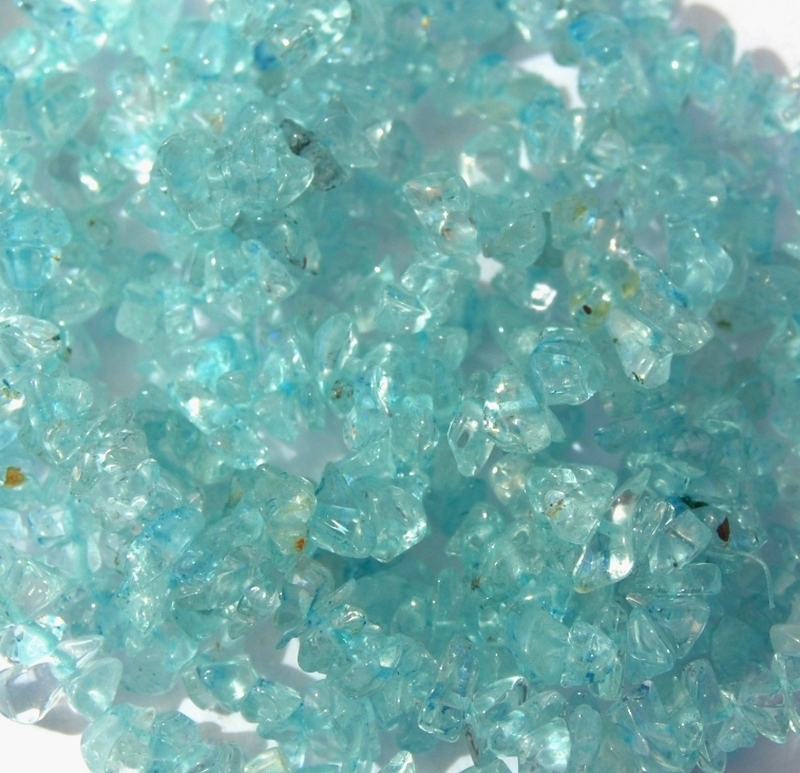 Lovely quartz chips are (probably) dyed a vibrant aquamarine. 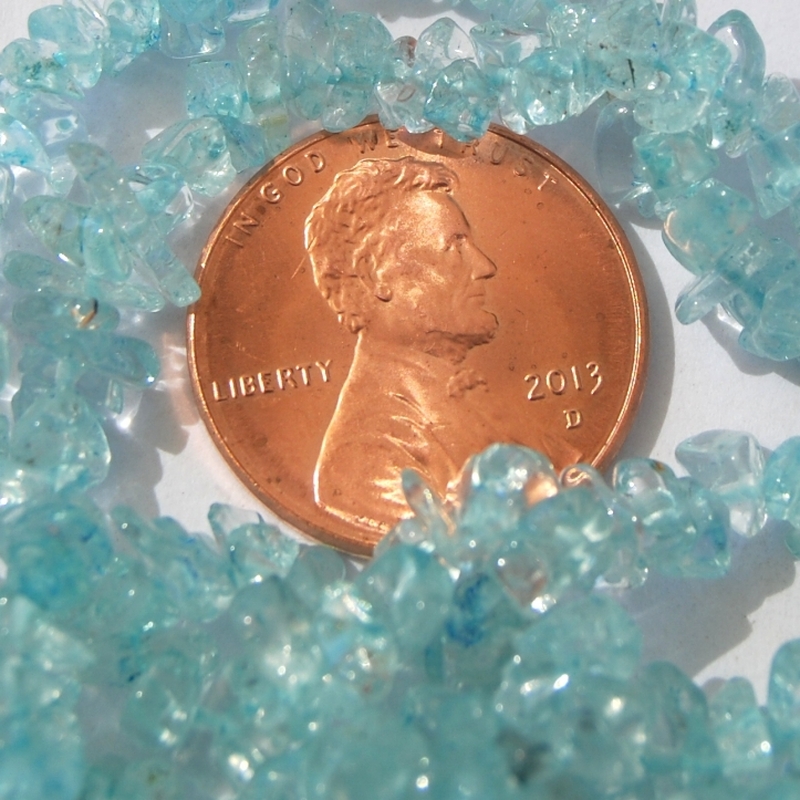 These will add a lovely punch to your jewelry design. You will receive one (1) 16-inch temporarily strung strand similar to that shown.